Let’s create the roadmap with these simple steps to success this year! It seems this year’s silly season has hit home in a big way! Every second person is hitting me up with a weight loss goal, or mentioning they need to drop 5 kegs. Seriously it must have been a huge December/ January. So today let’s get things underway for the year ahead! Firstly, I am not a ‘get fixed quick guy’, but I do understand that results motivate us. Let’s look at cleaning up our act and see the muffin top reduce a bit and get in shape! However, I say this, if it were easy we would all be rocking around the gym, lean as like ‘coach Jay’. The fact is most don’t have that discipline. I don’t say it to scare you but it’s a fact. Being lean isn’t a by product of a “$&@k it I will eat what I want tonight” attitude. Once you get to where you want however, it is possible to introduce ‘sometimes’ foods. Right now it’s important to get there first!!! 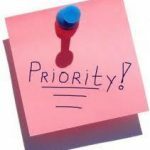 Like is mentioned in the ‘7 habits of highly effective people you must ‘put first things first’! and I tell you, in 28 days you will feel awesome about your progress. Get in shape with your priorities! a) First, where do you want to be in December 2019? (Point b) I.e. drop 10! Today I heard the following from client ‘jack’. “I need to get to 100 kilos. Everything is easier when I’m under a ton and I have too many clothes in my closet collecting dust. I have been there before and want that again! In this statement, there are some hidden ‘power’ words. Let’s take a look. There is an emotional connection to the goal, ‘how they felt’ as well as the ‘cost’ of the clothes. The real motivation for Jack is the way in which he felt wearing the clothes and what it meant he was able to do. This is something perhaps you have experienced before and can ‘feel’ it. What does the ‘you’ who owns their goal in December do? Compared to the ‘you’ now? These following two points will help create your roadmap and gives you action points to work on. Move every second day as a minimum- looking at 250-350 movemnet minutes per week for fat loss. Have a good plan 5 days per week and choose healthy options two days a week (this gives a little freedom in choice over the weekend but Jack is still expected to choose wisely). Use a trainer weekly- Accountability to a person or program gets results. I’m totally over New Year Resolutions but instead a massive fan of ‘new month habits’. This is the second part to your completion goals, as these are ‘stretch goals’. This means we set a goal for a realistic time frame and see it through. Research shows 28 days is highly achievable. Now like Jack, I want you to choose habits that you know you need to work on. Don’t ‘BS’ here. Pick the ‘nitty gritty’ and do it. Like I said, most people simply don’t push themselves and instead take the route of ‘takin it easy’, or “I used to do that but now I try to relax”. Well we are not! We are taking responsibility and seeing it through. Most people don’t finish what they start but this time ‘we’ will. We decided to stick to the same meals Monday to Friday, over the month. I.e. Steak greens and chard vet on a Monday. His favourite ‘spicy chicken couscous salad and tzatziki’ on a Tuesday and so on…This makes planning easier and cuts out the guess work. Second to this for Jack, is to prepare his lunch every day, seven days a week. See my tips here on this which makes a huge difference. No bread. Simple. Do it and see the difference! Part 2 to get in shape, we will discuss nutrition planning and what to eat! Get started with this and in a few days I will post more!